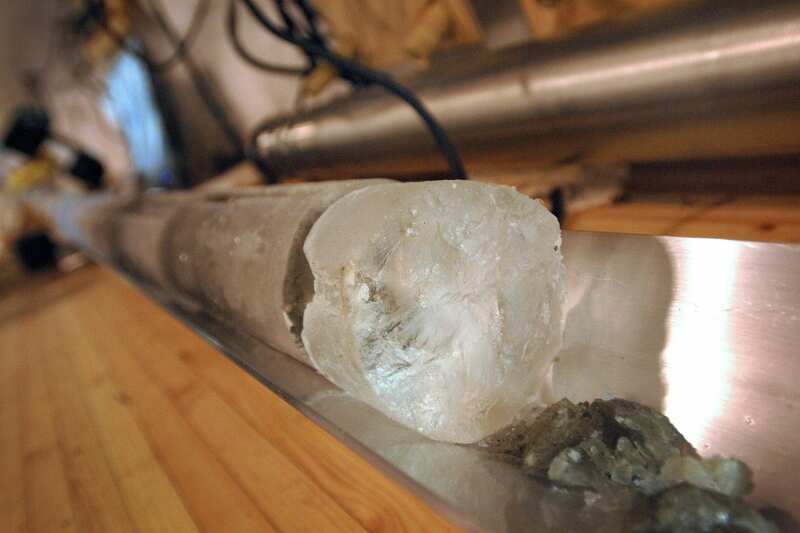 A research group formed by 64 researchers from the National Institute of Polar Research, the University of Tokyo, and other organizations analyzed atmospheric temperatures and dust for the past 720,000 years using an ice core obtained at Dome Fuji in Antarctica. Results indicate that when intermediate temperatures occurred within a glacial period, the climate was highly unstable and fluctuated. A climate simulation was also performed based on the Coupled Atmosphere-Ocean General Circulation Model, which revealed that the major cause of the observed climate instability was global cooling by a decline in the greenhouse effect. Climate instability severely impacts both the Earth’s natural environment and human society. In the continued effort for understanding how global warming could affect climate instability, it is important to identify periods in the past that experienced climate instability. These periods need to be studied and modeled to clarify any potential causes of the observed instability. However, little progress has been made in improving our documenting and understanding of climate instability prior to the last glacial period. Relationship between the frequency of climate fluctuations with temperatures in the Antarctic during the past 720,000 years obtained from analysis of Antarctic ice cores (black spots), as well as results for the final glacial period based on ice cores from Greenland (red squares). During the warm interglacial periods, and the coldest portion of a glacial period, the frequency of climate fluctuations was low, but during periods of intermediate temperatures within a glacial period, climate fluctuations occurred frequently and the climate was unstable. The research groups of Dr. Kenji Kawamura and Dr. Hideaki Motoyama (National Institute of Polar Research) analyzed the Second Dome Fuji ice core (Fig. 1, left) that were obtained as part of the Japanese Antarctic Research Expedition (JARE) between 2003 and 2007. Their team reproduced fluctuations in the air temperature and dust (solid particulate matter carried by the atmosphere) in the Antarctic for the past 720,000 years (Fig. 1, right). They combined this with data from the Dome C ice core drilled by a European team to obtain highly robust paleoclimate data. They examined these data, discovering that for the past 720,000 years, the intermediate climate within glacial periods was marked by frequent climate fluctuations (Fig. 2). This raised a question: Why does the most instability occur when there is an intermediate climate during a glacial period, rather than during an interglacial period, such as we are currently experiencing, or during the coldest part of a glacial period? The research group of Dr. Ayako Abe-Ouchi (University of Tokyo) used a climate model (MIROC) to first reproduce three types of background climate conditions–the interglacial period, intermediate climate within a glacial period, and the coldest part of a glacial period. They then performed a simulation that added the same quantity of fresh water to the northern part of the North Atlantic Ocean in each of the three climate conditions. This simulation was performed using the Earth Simulator supercomputer at the Japan Agency for Marine-Earth Science and Technology (JAMSTEC). The simulation results indicated that the response to freshwater inflow is maximized during the intermediate climate that occurs within glacial periods, causing the climate to become unstable (Fig. 3 A-C). An important factor affecting climate instability is the vulnerability of Atlantic deep water circulation during global cooling resulting from a decrease in the atmospheric carbon dioxide concentration (Fig. 3 D-E). Until now, the primary factor for climatic instability was thought to be the existence and instability of continental ice sheets in the Northern Hemisphere, but this experiment has revealed that carbon dioxide is another important factor, determining not only the average state of the climate, but also the long-term stability of the climate. These results also suggest that future stability in the present interglacial period, which has continued for more than 10,000 years, is not guaranteed. Indeed, if significant melting of the Greenland ice sheet occurs due to anthropogenic warming, it might destabilize the climate.